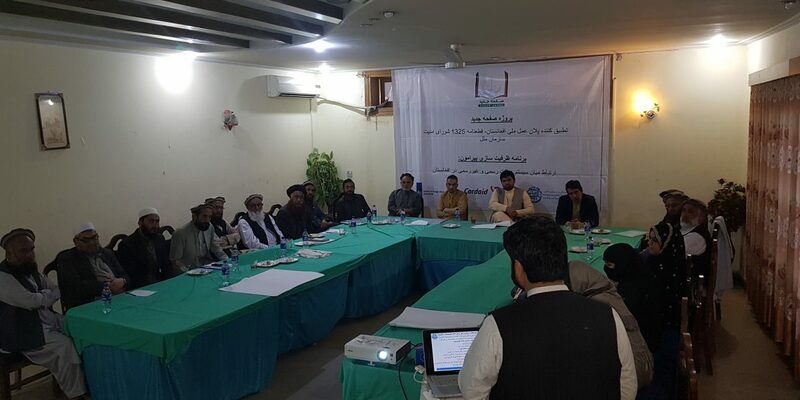 Hamida Barmaki Organization for the Rule of Law (HBORL) organized a capacity building training in Nangarhar province from 25th till 27th March 2019 for three days on “Linkage between Formal and Informal Justice system in Afghanistan” with close cooperation of CORDAID and financial support of the Ministry of Foreign Affairs of Netherlands. 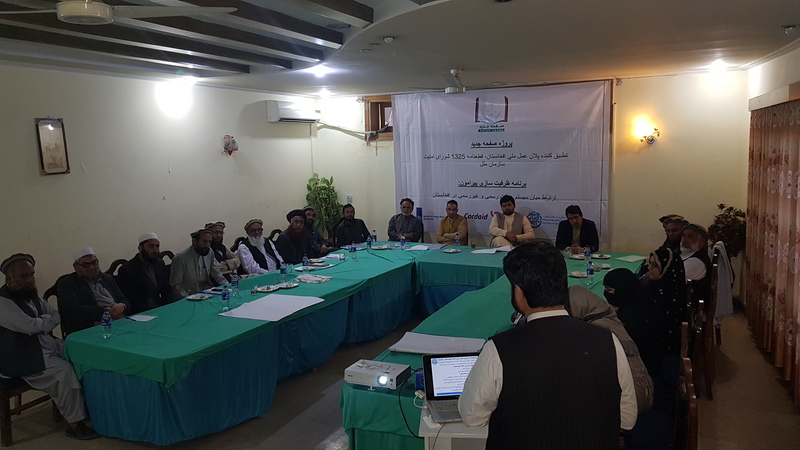 Participants from, Department of Justice, Ulama council, Department of women’s affairs, Afghanistan Independent Bar Association, Department of Tribes, Appeal attorney of Nangarhar province, Afghanistan independent human rights commission, department and Haj and pilgrimage participated in the training. The topics discussed were: Introduction to Justice, duties, and responsibilities of Justice departments, the importance of the linkage between the formal and informal justice systems and advantages and disadvantages of both systems. The participants also discussed the topics during group work and open discussion. HBORL will continue to play a noticeable role for the Rule of Law in Future.